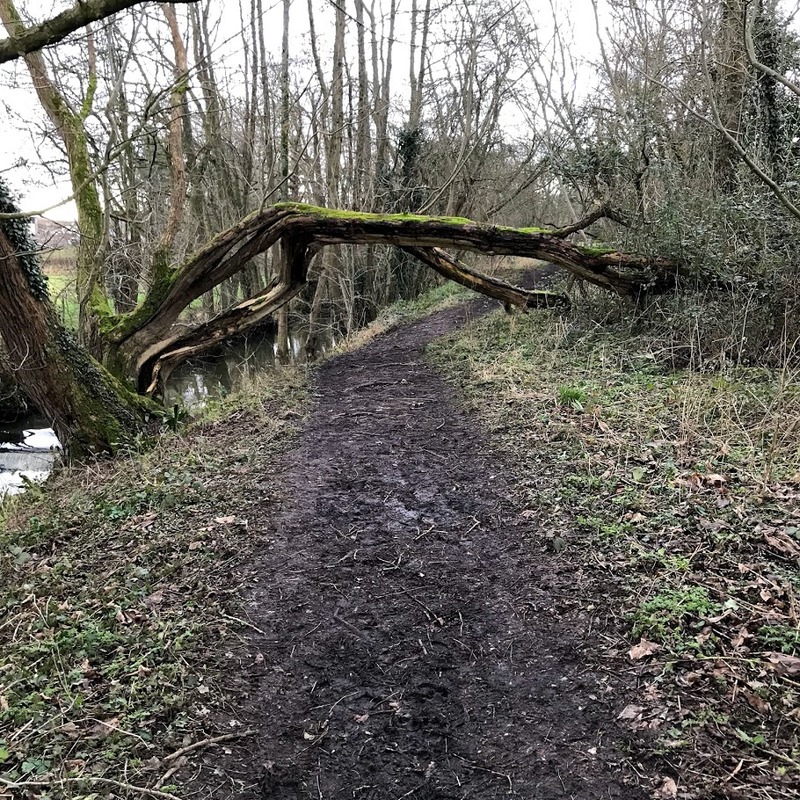 A wander around the section of the disused Camerton Branch of the Bristol and North Somerset Railway between Hallatrow and Paulton (26 Jan 2018). The Camerton Branch is a long disused section of railway which ran between Hallatrow and Camerton to serve the collieries. Opened in 1882, it was later extended to Limpley Stoke where it connected with the Bath to Trowbridge line. It is probably most famous for providing the filming locations for the classic film “The Titfield Thunderbolt”. It also happens to run close to where I live and so has become a regular haunt for me. Until 1915 (and for a brief period later) there was a passenger service on the line, but by all accounts this was never popular. How I wish it existed today! 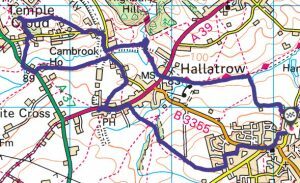 This walk took me from Paulton along the line as far as Hallatrow and then back and forth across the line at every point that the footpath allows. At first the walk is directly along the old trackbed, although there is little else remaining of any old railway infrastructure. 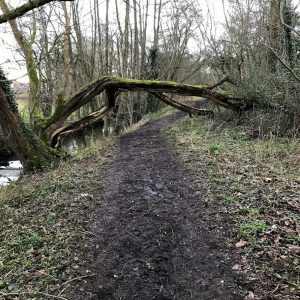 Note – not on this particular walk, but not far away there are very clear remains of Paulton Halt which are worth a visit. I walked right to the point where the line to Camerton branched off from the main line. The footpath passes directly over this junction, but there is disappointingly little to see. 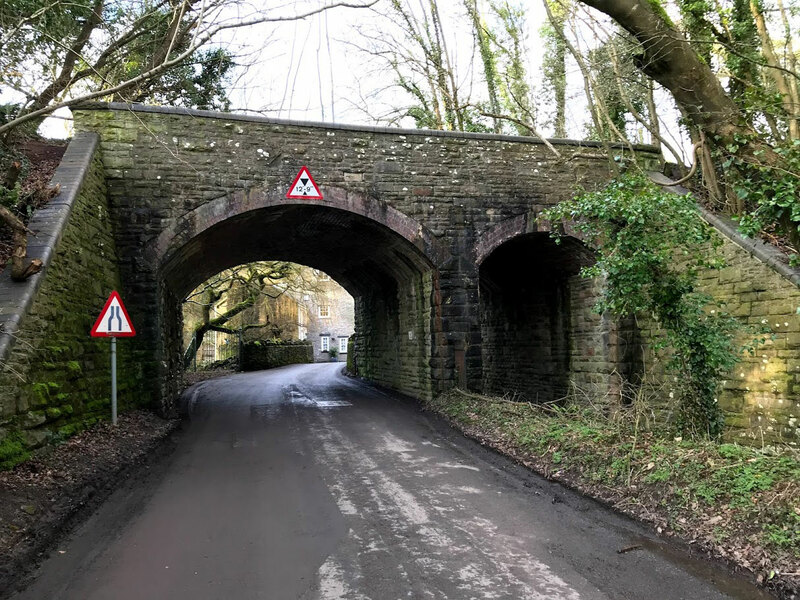 The bridge over the Clutton to Hallatrow road remains as an impressive marker however. As far as I can tell, there is nothing left of Hallatrow station itself. 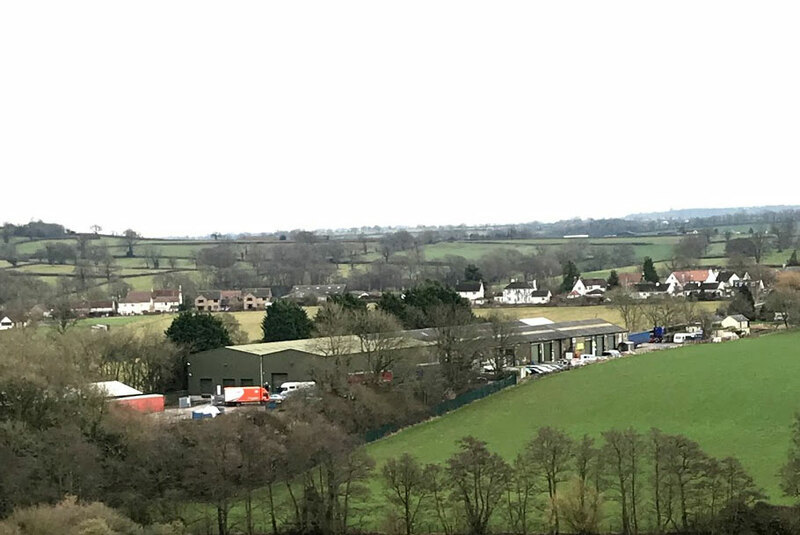 The site is now occupied by industrial units which at least make the old location obvious and are I think a good use of these sort of sites. 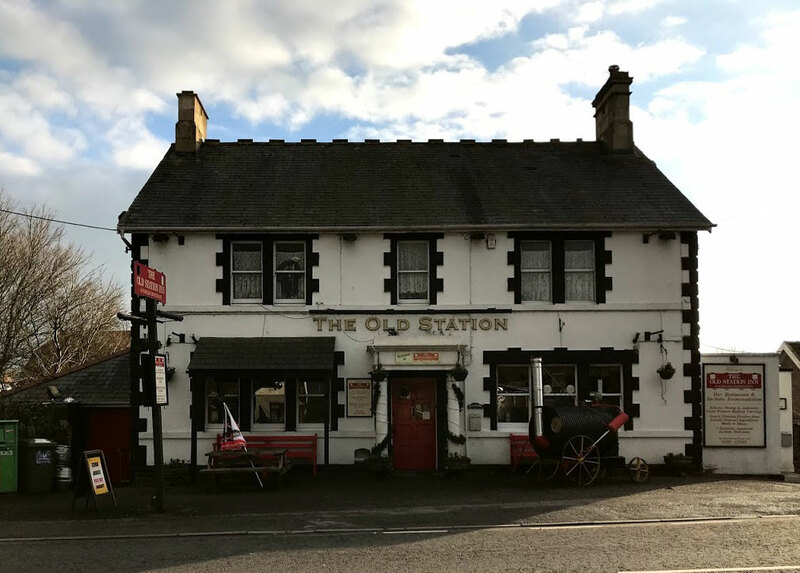 Also close by, and deliberately on route, is the Old Station Inn, which opened sometime between 1905 and 1929 by the evidence of the old OS Maps available online at the National Library of Scotland. This is a pub worth visiting – the beer is always good and there is an interesting collection of railway related miscellany and other pub clutter. You can also eat in a converted railway carriage attached to the back of the pub – though I think you need to book for this. 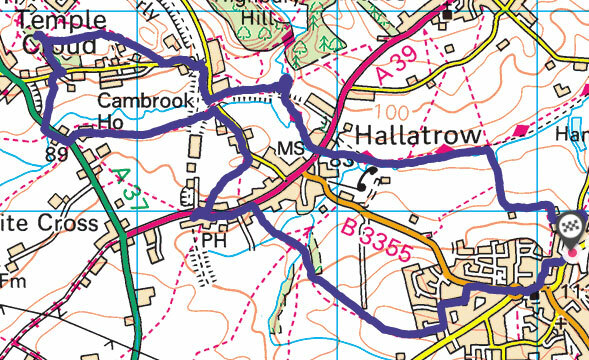 After a quick pint of Butcombe, I stomped back across the very muddy fields to Paulton.